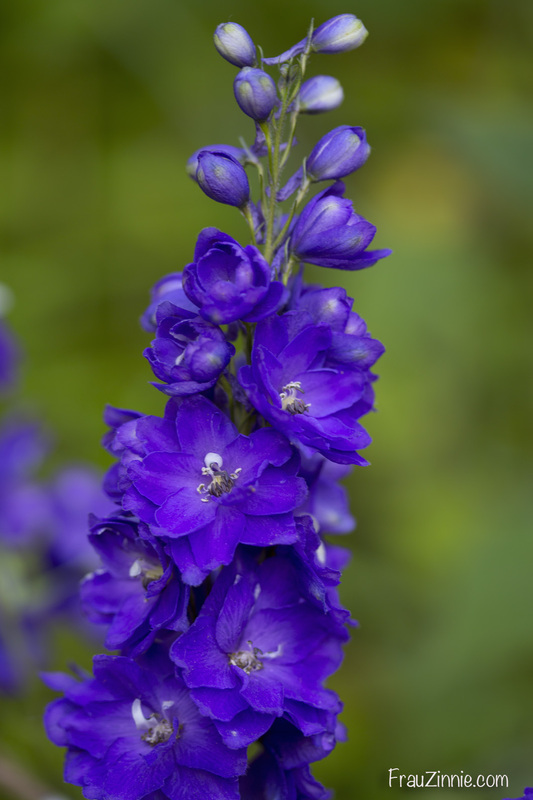 When adding new perennials to your garden this fall, consider including delphiniums in your garden plan. "There are the traditional tall, stately delphiniums that are perfect in the back of a cottage-type garden. Then there are the newer, shorter bushy types for smaller gardens," said Diane Blazek, executive director of All-America Selections and the National Garden Bureau. "We recommend that home gardeners consult with their local garden center or extension office when deciding which varieties are best for their local area." In fact, delphiniums were chosen to represent the perennial category of the National Garden Bureau's "Year of" highlights. "All of our 'Year of' crops are chosen by our board of directors because they are easy-to-grow, popular and have many varieties available based on new breeding." Personally, I've had success growing the Pacific Giant hybrids in my Connecticut garden, which feature two-foot long flower spikes. While I grow blue and purple varieties, there are also other flower colors available in the D. cardinale hybrids, such as red, orange and pink. 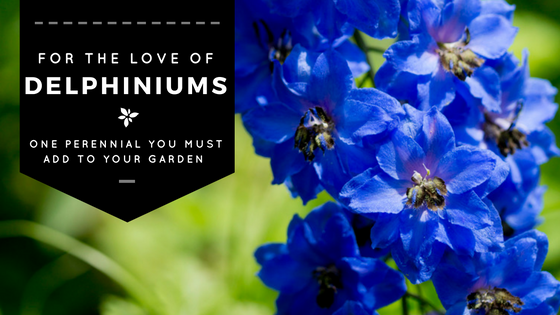 And I'm considering giving the Millennium delphinium line a chance in my garden, because they are reported to do better in warmer, more humid climates than the Pacific hybrids (and the humidity of August was an absolute killer here in the Northeast!). These perennials are hardy to Zone 4 and are easy to start from seed. (I grew some great colored ones this way.) The best time of year to start delphinium seeds is from September through March, but the key is using fresh seeds. (Delphiniums can lose viability after one year, resulting in poor germination.) To aid germination, presoak the seeds before sowing. Once the delphinium seedlings have grown and have two true sets of leaves, they can be transplanted into the garden. Adding compost will help these plants flourish, since they tend to be heavy feeders. 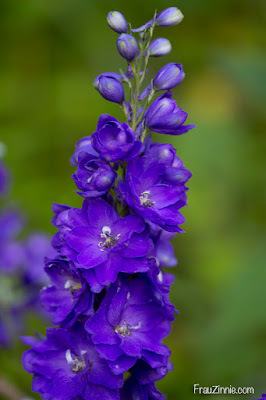 Hot humid climates (or weather) can test delphiniums. Because I didn't plant my newer, potted delphiniums from the town plant sale earlier this summer, I did lose a few due to the excessive (and oppressive) humidity conditions we endured while they lived in pots on the back patio. 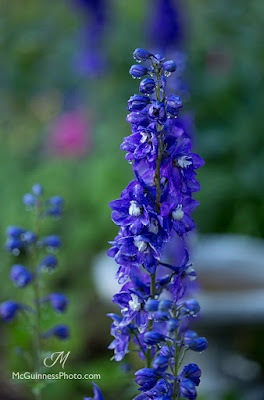 Not surprisingly, in southern climates, delphiniums can behave more like an annual than a perennial. Lesson learned: Get these plants into the ground as soon as possible when you get them home. I grow my delphiniums in the front garden where slugs are not as much of an issue. This location is a little drier than my back garden and offers late morning and afternoon sun. After the flowers have bloomed, cutting off the flower stalk will encourage it to rebloom. (Sometimes I get delphiniums blooming again in the fall before frost!) It seems to do well with oriental poppies and monarda as companion plants.